Can shoulder dystocia cause hypoxic-ischemic encephalopathy (HIE)? Research shows that shoulder dystocia can result in birth asphyxia and hypoxic-ischemic encephalopathy (HIE), a form of permanent brain damage that occurs when babies are deprived of oxygen during or near the time of labor and delivery. The longer a baby goes without sufficient oxygen, the more likely it is that the brain damage will be severe. Babies who have HIE often develop cerebral palsy, developmental delays, seizure disorders, and other issues. When shoulder dystocia occurs, the baby typically cannot be delivered quickly. Shoulder dystocia is associated with prolonged labor, which is traumatic for a baby. When a baby is going through the process of labor for too long, oxygen deprivation is likely. In addition, shoulder dystocia is associated with umbilical cord problems, such as a compressed umbilical cord. The umbilical cord is the baby’s lifeline; it delivers oxygen to the baby. Anything that disrupts the flow of oxygen through the cord can cause the baby to develop HIE. When shoulder dystocia occurs, the umbilical cord can get trapped between the baby’s arm and the mother’s pelvic bone. This is a very serious problem, and the baby must be delivered immediately, usually via emergency C-section. When labor is prolonged, the physician must determine if the baby is too large for the size of the mother’s pelvis. If this is the case, a C-section is the safest way to deliver the baby. In a rush to deliver the baby, physicians often use risky delivery methods, such as a vacuum extraction delivery. A vacuum extractor has a cup that is applied to the baby’s head. The physician uses the vacuum extractor to apply gentle suction to the baby’s head to help move the baby out of the birth canal. A vacuum extractor must be used in a very specific way, and strict guidelines must be followed because the device puts the baby at high risk for traumatic head injuries and brain bleeds. Brain bleeds can severely deprive the baby of oxygen and cause HIE. The use of a delivery instrument such as a vacuum extractor significantly increases the risk of shoulder dystocia. A vacuum extractor does not shift the baby’s position in the birth canal so that the shoulders are at the correct angle for passage through the birth canal. Instead, a vacuum extractor interferes with the delivery process by pulling the baby straight down, preventing any rotation of the shoulders into the correct angled position, and pulling the shoulders into the top of the pelvis, thereby causing the baby to get stuck. Delivery instruments should not be used when shoulder dystocia is present or when there is evidence of a large baby or CPD. Another risky method that physicians sometime employ when shoulder dystocia occurs is induction of labor with Pitocin or Cytotec. These drugs can cause uterine tachysystole (also known as hypertonicity or hyperstimulation) by making contractions so strong and frequent that the uterus (womb) is essentially in a constant state of contraction. When the uterus is in this state, blood vessels in the placenta that carry blood to the baby through the umbilical cord become compressed or impinged upon. When this happens, there is deficient blood flow to the baby. If the decreased blood flow is severe enough or lasts for a long enough period of time, the baby can become severely oxygen-deprived and HIE can result. At Reiter & Walsh ABC Law Centers, we have extensive experience handling birth injury cases involving shoulder dystocia and hypoxic-ischemic encephalopathy (HIE). 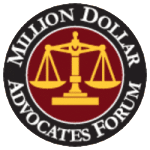 Our firm’s attorneys give personal attention to each child and family they help and they are available 24 / 7 to speak with you. If you are seeking legal help for a birth injury, it is very important to choose a lawyer and firm that focus solely on these cases. ABC Law Centers is a national birth injury law firm that has been helping children for over three decades. 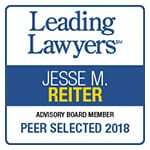 Partners Jesse Reiter and Rebecca Walsh are currently recognized as two of the best medical malpractice lawyers in America by U.S. News and World Report, which also recognized ABC Law Centers as one of the best medical malpractice firms in the nation. 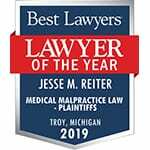 The attorneys at ABC Law Centers have won numerous awards for their advocacy of birth-injured children, and are members of the Birth Trauma Litigation Group (BTLG) and the Michigan Association for Justice (MAJ).